The district of Toledo, cradled between the Mayan Mountains and the Caribbean Ocean, is a 50-minute flight from Belize City and has been called the birthplace of chocolate. Ancient Mayans once used the cacao bean as a currency, and even wore it as jewelry. 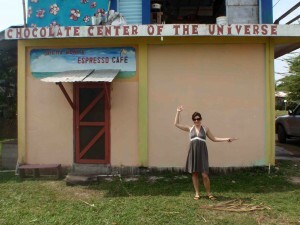 Today cacao farmers are feeding into the world’s chocolate frenzy by helping to manufacture the treat from bean to bar. The best part? Many of the leading companies, such as Goss Chocolate, are all organic and fair trade, using locally-grown beans. And though such a dessert isn’t exactly a health food, studies show that dark chocolate (in moderation!) can help lower blood pressure and cholesterol. I learned that chocolate actually comes from the seed of a fruit grown inside a pod and surrounded by tart pulp. 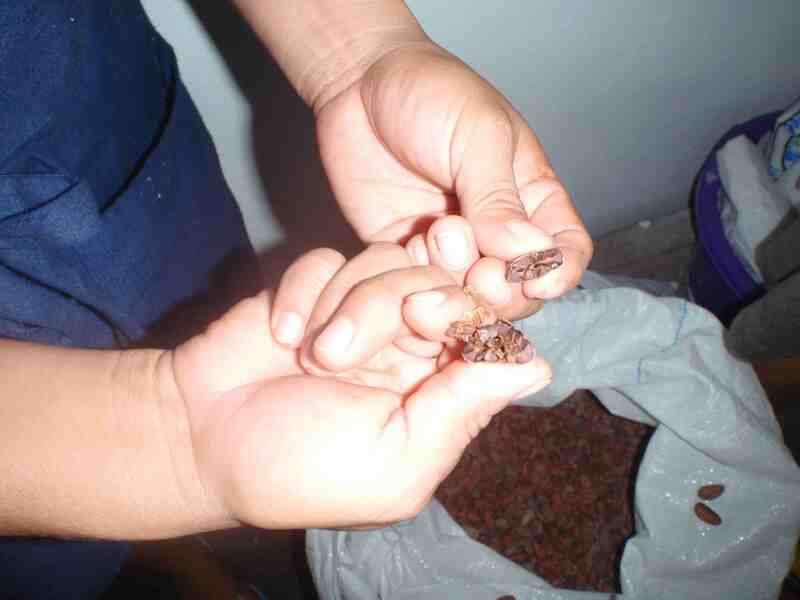 The cacao seeds are dried, roasted, shelled, grinded into a paste, fermented, usually mixed with all-spice or sugar or milk depending on the type, poured into a mold, cut after its dried, and packaged for sale. The bean itself actually tastes bitter, like coffee, before it’s grinded and roasted and sweetened with sugar or milk. Check out this video of how they do it at Cotton Tree Lodge with a hand drill and blow dryer. If you need extra motivation to visit, the annual cacao festival happens in May. It’s definitely worth the trip to taste chocolate that’s so pure, creamy, and fresh.